We will be rolling out spice and pretty much any form of debauchery known to the galaxy shall be there my friends. So bring your credits, and perhaps a good blaster as we find out who are the real panzies, and who are the true sleazes in this galaxy. 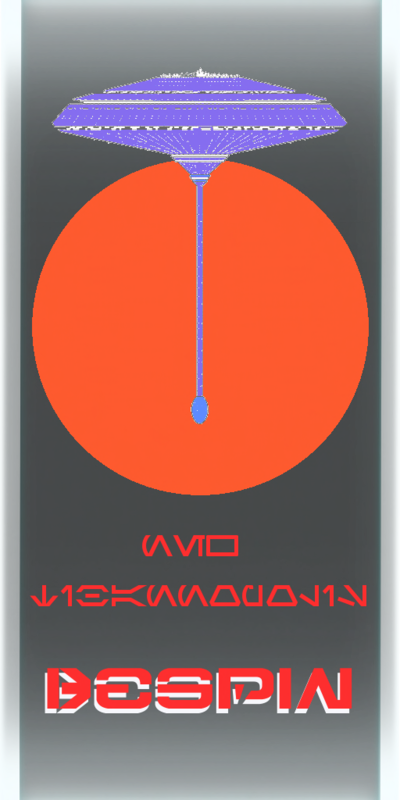 If you are interested and able to perform any of the above (or anything else useful), please contact Cantina Manager LUCIAN VANEK , who is RP Manager for this aspect of Bespin. It has been some time since GNW travel to the forest moon of Endor. Before our arrival, we were told of an attack by the Shade Regime. GNW spoke to Arbitras Rexsus II leader of GRAE. He sent us a holo picture of the incident and explain to us what had happened. He told GNW that they had been cleaning up after their war with the Shade Regime. We were told that it took weeks to clean it up. He said, ” Before you ar rived we went through hell on Endor …Tie fighters of the Shade Regime launching out left and right attack at our Forrest grounds.” He was very sad about the incident that he growled sadly and then continue to tell us that there were some who were suicide drivers. AS you see on the left of your screen, a holo image of exploding debris. Rex continues by stating that he took much of his own energy to destroy their weapons with a former DJE Who’s no long passed away. 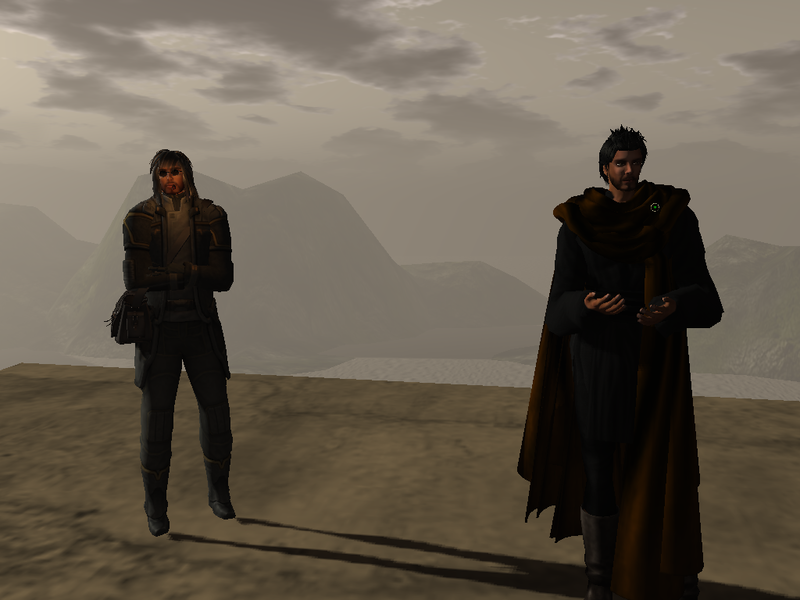 He spoke with a sad voice as he spoke of his friend Jessant Cassius who kept watch over Dantooine, Yavin, and Tython from any attacks that came from Regime. 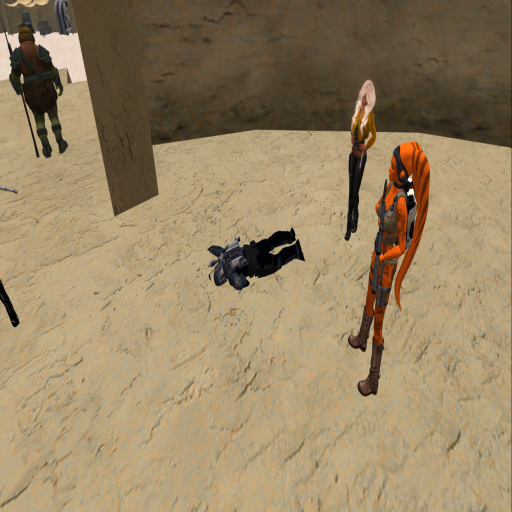 We were told that it was Jess who help call in their strike when Regime came to seek Dantooine with their weapons. Rex said that Jess is a hero in his eyes but said not so much of his family on DJE. GNW would like tell our viewers that we all must be vigilant and be on our guard from any attacks by Shade Regime. GNW will keep our viewers update if we learn anything new. 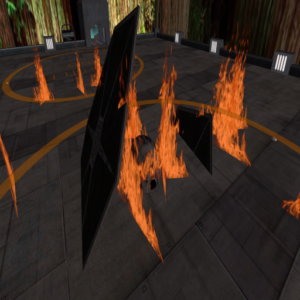 Today in remembrance of Alderaan and the millions of voices that were silenced GNW will give you a history of Alderaan. “The galaxy knows Alderaan as ‘the planet of beauty.’ Nature, poetry, philosophy, art, couture, cuisine—we freely share all with all.“ This was a quote giving by Senator Bail Organa. Alderaan was located in Core worlds. It was a terrestrial planet, filled with mountain ranges that were covered with snow caps. It surfaces had vast bodies of water as well as grassy hills. It was known by the rest of the galaxy for it beauty. It had famous landmark like Cloudshape Falls and Isatabith Rain Forest. It grew a variety of grapevines which were used to produce Toniray and Emerald wine. The Architect of its buildings was designed to respect the natural beauty of its environment. 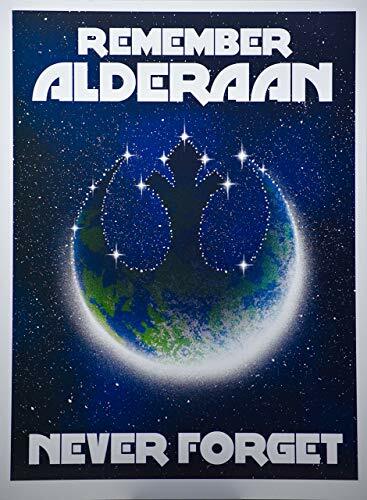 During the Old Republic, the peaceful world of Alderaan was among the oldest members of the Galactic Republic and was one of the original founders. After the end of the Clone Wars, Chancellor Palpatine abolished the Republic, and establish the Galactic Empire. There were a small number of Systems who rebelled against this new regime, and the Alliance to Restore the Republic was ultimately formed by Bail Organa and his former colleague in the Galactic Senate, Senator Mon Mothma of Chandrila. During this time, Alderaan became the Alliance’s main source of munitions. The planet’s crown princess and representative in the Imperial Senate, Princess Leia Organa, the adoptive daughter of Bail and Breha Organa, began using her diplomatic immunity as an Imperial senator to carry out Rebel missions in restricted Imperial systems. During the early rebellion against the Galactic Empire, Alderaan was listed as an Alliance safe world. It was included in a map of the galaxy with a legend listing the various Alliance safe worlds, starfighter hubs at level five or higher, rebel operations sectors and regional headquarters, and shadow planets with deep space caches. The map would later be incorporated into The Rebel Files. About three years before the Battle of Yavin, Senator Bail Organa dispatched three Sphyrna-class corvettes to the Phoenix Cell, which has sustained losses while fleeing Garel. Since Alderaan could not be seen directly supporting the rebels, Senator Organa arranged for his adopted daughter Leia to deliver the vessels to Lothal. 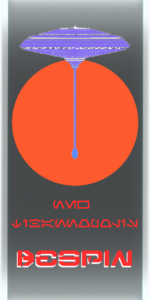 The Alderaanians risked losing their seat in the Imperial Senate among other Imperial sanctions. Senator Organa had arranged for the crew of the Ghost to “steal” the ships from an Imperial depot on Lothal so that Alderaan could not be blamed for the “theft.” With the help of the crew of the Ghost and the former Governor Ryder Azadi, Leia managed to deliver the three Hammerhead corvettes to the Phoenix rebels following a skirmish at the Imperial depot. In 0BBY, shortly before the Battle of Scarif, Senator Bail Organa headed towards Alderaan to tell their people that th ere would be no peace after the plans for the Death Star, a planet-killing Imperial superlaser, were discovered. The plans were later stolen from the data vault on Scarif, and transferred aboard the Tantive IV. 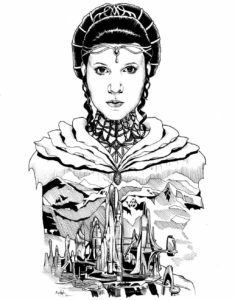 Princess Leia of Alderaan, Bail’s adopted daughter and thus member of the Elder Houses was captured by the Imperial Navy while smuggling the plans to the Alliance base. Organa was taken prisoner by the Sith Lord Darth Vader, the Emperor’s second-in-command, and brought before the Death Star’s commanding officer, Grand Moff Wilhuff Tarkin. 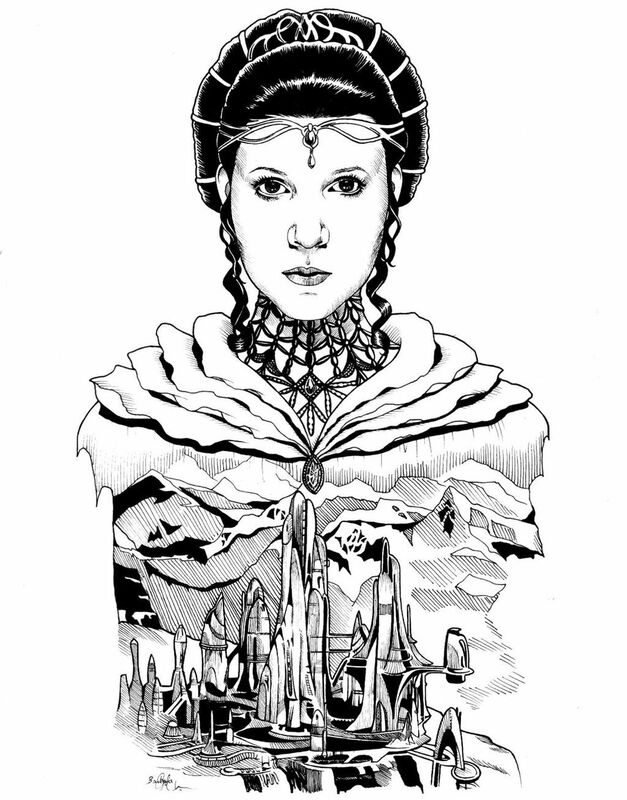 Under threat of destroying her planet, Leia gave a fake location of the rebel base to Tarkin, only to have Tarkin destroy Alderaan anyway, noting that Dantooine was too remote for an “effective demonstration.” The Imperials forced the princess to witness the obliteration of her home planet, an act that Tarkin hoped would instill fear among the secessionist systems in an effort to keep them in line. The planet’s destruction left only an asteroid field behind, which was blockaded by the Empire. Almost immediately after the Battle of Yavin, Leia Organa would embark on a mission to rescue the survivors of Alderaan from Imperial reprisals following the destruction of the First Death Star. On Coruscant, the Empire’s planetary capital, the numerous Alderaanian residents of Level 3204 began to hold vigils for those who had perished in what they called “The Disaster.” However, as more information became available about the Empire’s role in the destruction of Alderaan, the vigils soon turned into riots, which were quickly repressed by brute force. Following the Battle of Yavin, Vader took the remains of Alderaan to serve as reminders to worlds that attempted to resist the Emperor. Following an assassination attempt on himself at Shu-Torun, Vader then gave Trios, the new Queen of that planet, one of these reminders. By 5 ABY a flotilla of starships orbited the Alderaaina graveyard, the new name for the debris remaining of the planet. Princess Leia managed to use her political connections to take scrap from the Death Star, initially intended for incineration, to be used to construct a new space station around the planet. By the time of the New Republic, Alderaan’s destruction would become a stark reminder for future generations about the terrors of the Galactic Empire, and would often be an ‘uncomfortable subject’ for those that brought up the planet’s destruction in conversation. As such, surviving Alderaanians would be treated with great respect for their lost world and people. For collectors, rare bottles of the alcoholic beverage Toniray would become a high ly-prized commodity. With tension raising between Prilla Bareesh and the New Republic, GNW spoke with a twi’lek by the name of Ryssa’akysa who works for Throbon Hutt. Ryss’akysa told GNW that The great Throbon the Hutt wishes the galaxy and leaders of the New Republic, Galactic Empire, and RSO to know that after last night’s Hutt Night he is offering them a one time offer to a peace summit at a location of his choosing. Last night the Inijic and Bareesh forces showed the New Republic their might and mercy. The might and mercy that the Inijic and Bareesh forces showed was a beat down of a Mandalorian name Soron Skirata after he try to escape the rancor pit when Throbon the Hutt learned Soron Skirata who was suppose to be working security for him had turned coward and sided with the New Republic as soon as things got too hot. Ryssa’akysa told GNW that His Mightiness Throbon wishes to offer Ilum as the location of the peace summit. He feels they may be more agreeable of the location is neutral to all parties. All bounties on them will be given pause for the time of the meeting. If terms are agreeable to all, he will cancel all bounties that have been issued by the Hutt Council, not just the ones on the leaders. If the summit is not agreed upon, I guess we’ll get a stockpile of GAR Clones and bucket-heads to feed the rancors for a good war.